The Magnet Export Business Portal is thrilled to be partnered with the World Trade Centre Toronto (WTC-T) – the trade services arm of the Toronto Region Board of Trade. Learn more about the ways the WTC-T is a useful resource for Canadian businesses who might be interested in entering new markets and expanding their global reach through international trade. The WTC-T was officially launched in September 2017 to address the needs of small and medium-sized enterprises in the region who want to grow their business globally, but need support to access the wealth of resources available to help Canadian SMEs export. 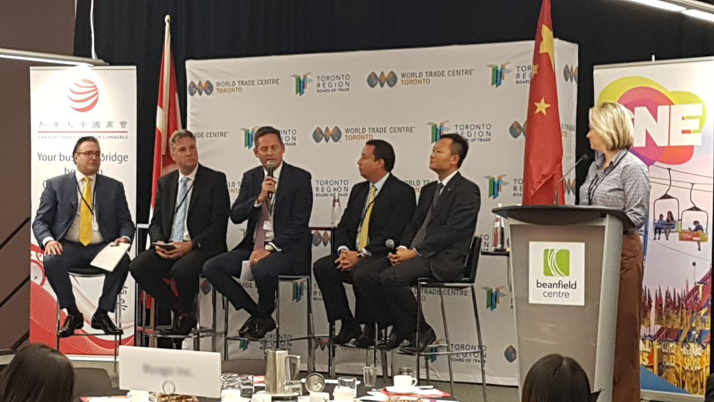 As a member of the World Trade Centers Association, WTC-T creates unparalleled global access for the Toronto region’s business community with its connection to 317 branded properties and trade services associations in 88 countries. WTC-T provides targeted international trade advisory services and expertise through comprehensive research, trade education, strategy building workshops, outbound, and inbound trade missions and valuable connections to experts and networks. The WTC-T is a ‘one-stop shop’ for SMEs who want to start exporting or increase their export activity. WTC-T offers a significant value add to businesses looking to expand their global reach through Canada’s Trade Accelerator Program (TAP Canada)– a dynamic, hands-on workshop helping SMEs scale-up through developing and executing an export plan. TAP Canada provides companies with access to Canada’s top exporting advisors, resources and contacts for four days over six weeks, giving them the coaching and support they need to become successful international traders in their specific business sector. 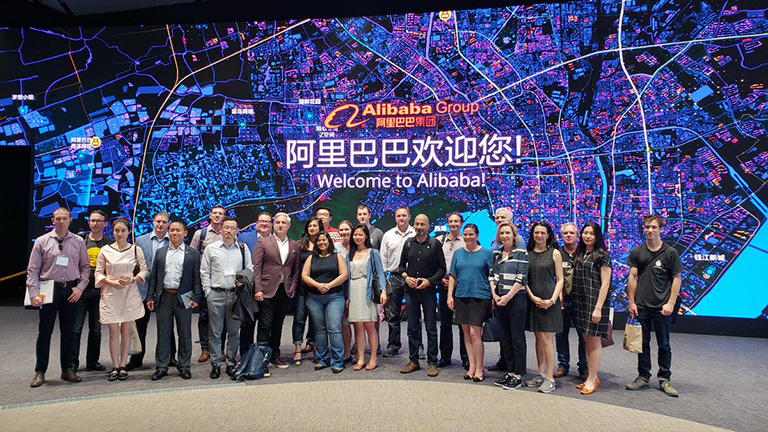 TAP graduates have entered more than 40 new markets—including China, India, Mexico, Japan, the EU, and the U.S. to name a few—and report an average growth of 18% in export sales one year after participation. TAP Canada has grown from its GTA roots and is now offered in six additional cities across the country: Vancouver, Calgary, Edmonton, Saskatoon, Winnipeg, and Montreal. Another resource that makes the WTC-T unique is its unmatched access to international markets through its Market Activation Program (MAP) – an experiential program offering outbound trade missions for Toronto region businesses seeking international opportunities, and inbound trade mission support services for international business delegates seeking Toronto market access. 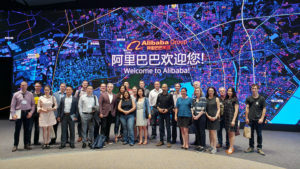 In its first year, MAP hosted exclusive inbound missions where Toronto region businesses gained access to wider e-commerce opportunities with global online giants JD.com and Alibaba Group. MAP also successfully led five outbound trade missions to three continents, resulting in export revenue forecasts of at least $23.75M to mission markets. In the first half of 2019, MAP will be leading four additional outbound trade missions which include a Food & Beverage mission to the U.S. Southwest in March, a Cleantech mission to Mexico in April, a Food & Beverage mission to China in May and a Fintech mission to the U.K. in June. Interested in learning more? Register for the upcoming webinar on the benefits of attending a trade mission. Both WTC-T and Magnet Export exist to help businesses succeed in reaching export markets. When you sign up to the Magnet Export Business Portal, you select your preferences to receive targeted information that is tailored to your business on export support programs across Canada. You will be notified of relevant trade events (like those offered by the WTC-T), funding opportunities and resources that can help you expand your business internationally. 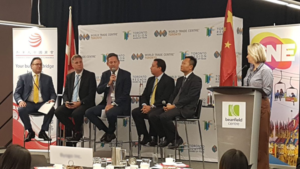 If you would like to learn more about how the World Trade Centre Toronto can help you grow your business and reach new export markets, you can visit wtctoronto.com, follow them on Twitter @WTC_TO, or email them at wtc@bot.com.